Today is Black Friday. 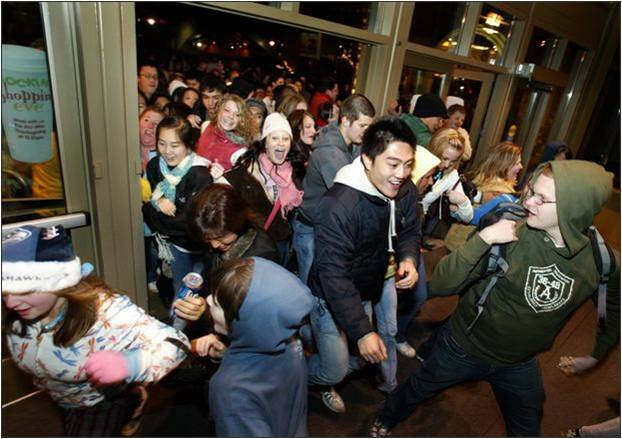 It’s the day when half of America lines up for hours, searching for an incredible bargain, and the other half waits impatiently to sell it to them. To some, this is the seed of greed in America; to others, it’s capitalism at its finest. Regardless, unless you flunked math, history and economics in high school, you know that without our much maligned consumer society, our world would look markedly different from what you see out your window. And most of us would have neither the energy nor the leisure to wax critical on the whole process. However, did you ever wonder why people buy so much useless junk and literally kick other people out of the way to get at it? The answer’s quite simple, really: Josiah Wedgwood had smallpox — and survived. History does not always run on big events. For example, one of the reasons Drake, Hawkins and rest of Elizabeth I’s Seadogs kicked the snot out of the Spanish Armada in 1588 is their cannons were shorter. Thus, they could reload faster and, therefore, held superior firepower over their Catholic adversaries. A much overlooked detail, to be sure, but absolutely critical to the history of Europe and the world. Likewise, Josiah Wedgewood’s bout with smallpox as a child, insignificant as it might be, was a decisive event that changed human history. When Josiah recovered, he was apprenticed to his elder brother as a potter, but because his legs were still weak from his illness (a condition that lasted his entire life) he couldn’t work the foot-powered potter’s wheel for long periods. Thus, he spent just as much time designing pottery, working with glazes and selling his wares as he did actually making them. Unhitched from the daily grind of producing pottery, Josiah had time to figure out how to effectively sell it. The story is long and quite complicated, but here is the gist of it. Josiah’s business career coincides with the early rumblings of the Industrial Revolution. James Watt’s steam engine was putting people power out of business and creating a whole new class of folks unfettered from the land. This new urban class of managers, foremen, clerks, artisans etc. etc. were stuck in the “middle” — between the obscenely rich aristocrats and entrepreneurs and the virtual slaves from the mines and the factory floors. Plus, unlike their parents, who had been practically self sufficient, without land, this new “middle” class had to buy every necessity of life rather than produce it for themselves. Essentially, Josiah’s pottery works had been handed a huge new consumer demographic that nobody had seen before. Obviously, all these new people moving into the urban centres of Britain needed plates, cups, jugs etc. but that’s just the nuts and bolts part of the story. 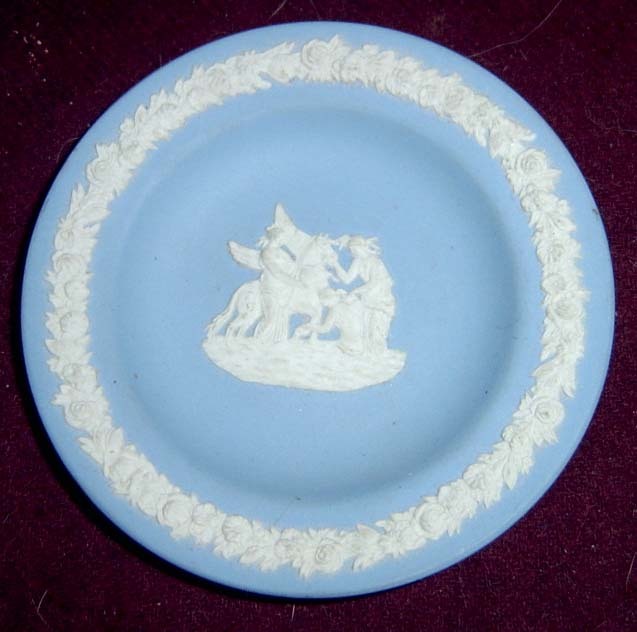 What separates Josiah Wedgwood from every other guy with a lump of clay was his understanding of the market. He realized that this new middle class was not living hand to mouth. They had a modicum of leisure time and disposable income. He also saw that they were willing to use this income to distinguish themselves from the poorer urban masses. More importantly, even though they didn’t really have the coin for it, they wanted to emulate the social superiority of wealthy aristocrats and the new-fashioned nabobs of trade and industry. Josiah simply thought outside the 18th century box and cashed in on this middle class social climbing. Basically what he did was create unique pieces for his wealthier clients — and then mass produce less expensive knockoffs for everybody else. Suddenly Harvey and Maud, the uppity couple from Pembroke Lane, could eat off plates and saucers just like King George III’s wife, Queen Charlotte. Wedgwood even called it “Queen’s Ware.” His Jasperware was elegant, expensive and exclusive, but anybody with enough shillings could afford a posh replica. Plus, Wedgwood treated his clients as if they were upper class, by bringing the marketing tools of the aristocracy down to the middle class. He used illustrated catalogues just like exclusive art dealers. 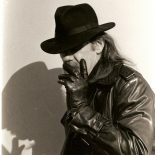 He had salesman who came to your home, written guarantees and free delivery. Not only that, but he also produced objects of art. Before Wedgwood objet d’art were the exclusive province of the upper class who could afford to squander money on trinkets and antiquities. After Wedgwood, everybody had household ornaments. He made Etruscan busts and Grecian urns that were well within the price range of even the most modest home. The thriving middle class, striving to keep up appearances, bought this stuff by the wagon load. Even today, his powder blue and ivory white Greek motif plates are recognized around the world, and many of us have these useless pieces cluttering up our shelves and coffee tables. Josiah Wedgwood was the first person to sell the sizzle instead of the steak and make you pay for the garnish. He understood how the middle class ego worked and, frankly, it hasn’t changed in over 200 years. Those people who lined up this morning for the 80 inch television set aren’t buying solid walls of entertainment; they’re buying a physical expression of their success. 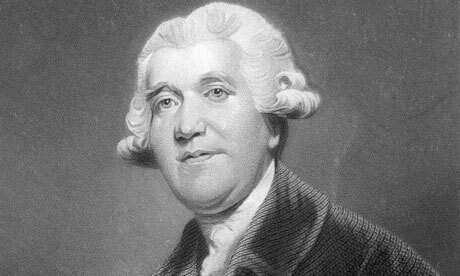 By recognizing this need and filling it, Josiah Wedgwood single-handedly create our consumer society in the late 18th century. It’s been going strong ever since. Today’s madness at Target, Kohl and Walmart is just the latest incarnation of two centuries of marketing. This entry was posted on November 23, 2012 by wdfyfe in History and tagged Black Friday, capitalism, consumer society, consumerism, Industrial Revolution, Josiah Wedgwood.